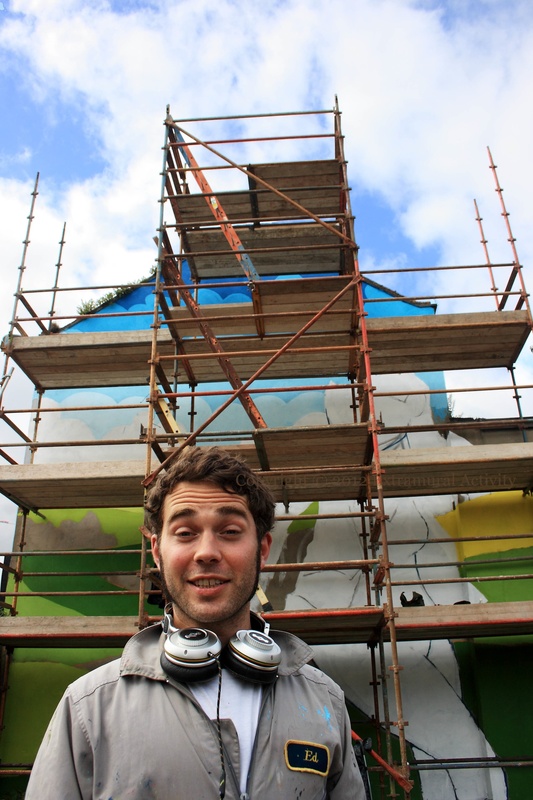 Belfast is getting two new murals as part of the East Belfast Arts Festival, one by Friz and one by Hicks54. Both are a-political artists from outside Northern Ireland. Friz is now based in Belfast. Hicks is/was a member of the 54 collective, in Southampton, England. 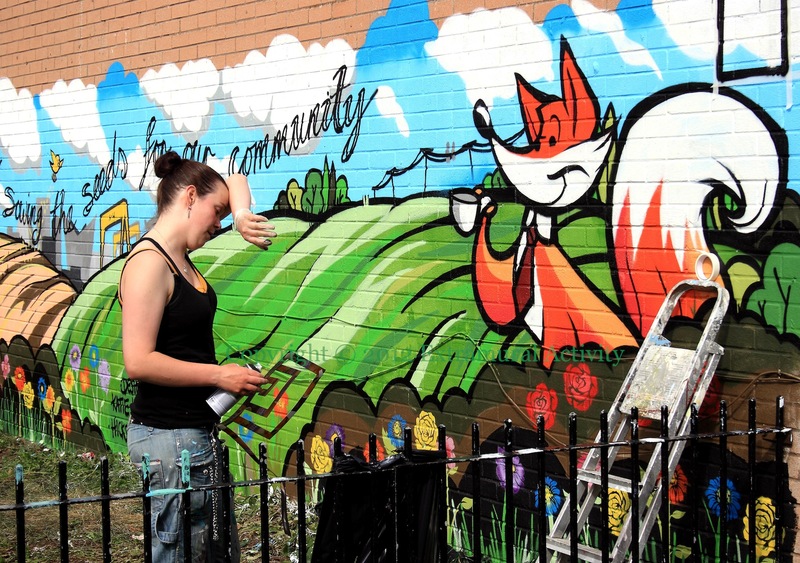 Above is Friz completing her mural in Constance Street, Sept. 8th. 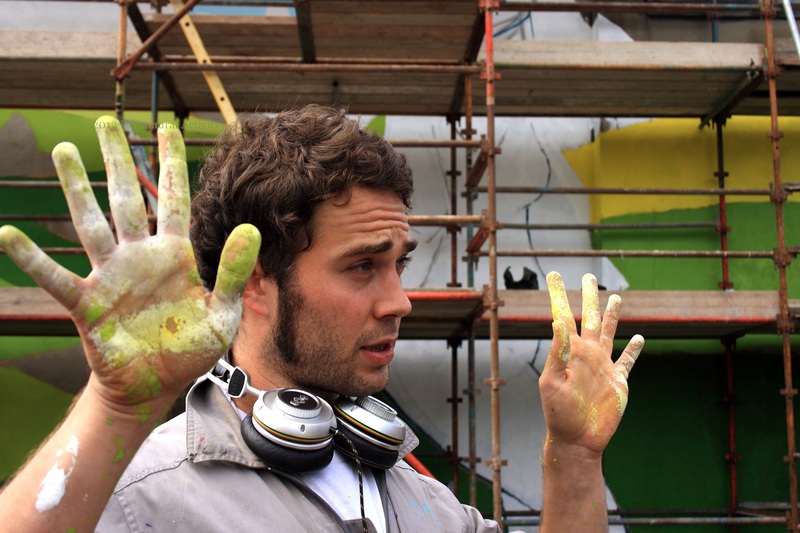 The muraling during the Festival is “in conjunction with the Lower Castlereagh Community Group, East Belfast Partnership, and kindly funded by the Lloyds TSB Foundation”. Here’s (Ed) Hicks54 in front of his project, on the Newtownards Rd … (across from McDonalds). There’s an even earlier development shot at his flickr account.